If you’re a law firm that wants to get more clients, there’s something you need to know about your web traffic. It’s not enough to just have a website. You also need an effective law firm SEO strategy. Let’s face it. There’s no real point to having a website for your law firm if nobody is going to see it, right? Your website should function as a tool that attracts more prospective clients to your law firm. You need to turn it into a lead generator. If you want to get more clients, you need to make your law firm more discoverable online. You have to start ranking higher in search engine results You have to focus on your search engine optimization. 96% of people looking for legal advice are using a search engine. 74% of consumers who visit a law firm’s website are looking to take action. 38% of people use the internet to find an attorney. 75% of search engine users never click past the first page of search results. Businesses that blog have 434% more indexed pages than those who don’t. These facts are pretty hard to ignore if you’re looking for a way to generate more leads for your law firm. How much easier would it be if your website was able to generate leads for your firm while you were focusing on other parts of your business? If you’re new to the world of search engine marketing, check out this post. The most effective law firm SEO tool is your blog. Why? Because the key to effective search engine optimization is consistently creating content. 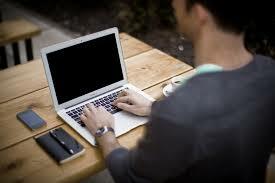 Publishing blog posts on a regular basis will boost your search engine rankings. Especially if you target the right keywords. Chances are, if a law firm’s website is ranking higher in search engines, it’s because they update their blog on a consistent basis. In this post, you will learn 5 hacks that will help your blogging efforts. When you use these tips, your law firm SEO will boost your search engine rankings and drive more traffic to your website. One of the biggest mistakes you can make is writing content that isn’t relevant to your prospective clients. Before you start creating blog posts, you have to know exactly who your audience is. Once you fully understand your prospective clients, you will know what to write, and how to write it. One of the most effective ways to understand your prospects is to create buyer personas. A buyer persona is an incredibly powerful marketing tool. It’s a way of understanding the people who wish to market to. It’s an essential component of any SEO blogging strategy. Without understanding the problems and issues your prospects are facing, you won’t be able to write the type of content they’re searching for online. Creating buyer personas will go a long way towards helping you understand where the various members of your audience are coming from. A buyer persona is a tool that is used to provide greater insight into who your prospect is and how you offer them value. If you are unsure as to how to build out your buyer personas, there are several templates that are available online. These templates can serve as an effective guide in helping you create your personas. A good blog can attract more clients to your law firm. The most important key to successful law firm SEO is making sure that the content you’re creating is actually valuable. When you’re writing a blog post, it’s not time to talk about how awesome your law firm is — although I’m sure it’s pretty awesome. Your blog post should be written to provide a benefit to your reader. Creating valuable content doesn’t just help you rank higher in search engines; it also helps you build more credibility with the prospects that visit your website. Your prospects are visiting your website because they have an issue that they need your help with. Your content needs to give them more insight into the problem they wish to solve. Answer a confusing legal question. Educate the reader on things they may not be aware of. Here’s an example. Let’s say your firm provides estate planning services. You help clients draft their estate planning documents. In this case, you might write blog posts educating potential clients on the differences between a living trust and a last will and testament. Or perhaps you might write a post describing how the probate process works. The key is to write posts that answer the questions you already know your potential clients will have. The answers to these questions are what prospective clients will be looking up online. Another important factor in creating helpful content is making it easy to read. Sometimes, it’s easy to forget that laypeople don’t know as much about the law as you do, isn’t it? When you’re writing content, make sure that you’re making it as easy to understand as possible. One the best ways to provide value with your content is to figure out what questions your audience is asking and use your expertise to answer those questions. Put yourself into the minds of your prospects. Why are they coming to your site? What questions led them to your website? You have probably been asked several questions on the areas of law that you specialize in. Write these questions down and start crafting blog posts that are designed to answer these questions. If you can, think of some of the less common questions that you have been asked. Chances are, there’s information you can provide that your reader that they didn’t know they needed. When you can go above and beyond in providing relevant information, your prospective client will be more likely to hire you. Depending on the type of law you practice, it’s possible that there are numerous newsworthy events that are related to your area of law. If this is the case, you should be monitoring the news feeds to see if there are interesting stories. When you find news stories that interest you, write a blog post about it. It’s a great opportunity to take a stance and give your opinion on a particular issue. Allow your prospects to get to know you better. Give them a glimpse into how you think. Your prospect will be more likely to express interest in your services. It’s a great way to build your brand. Breaking news about illnesses that are caused by a popular new drug. Popular lawsuits that involve intellectual property. Controversial cases involving family law. Make sure you keep yourself aware of current events in your field. It will show your readers that you are an expert in your area of law. Using your blog to deliver good content will help your law firm stand out. It may seem like an unimportant detail, but it’s not. Your headline is arguably the most important part of your blog post. Your headline is what will get your prospects to read your content. As a matter of fact, 8 out of every 10 people will read a headline, but only 2 out of 10 will actually read the rest of the post. You could write the greatest blog post that’s ever been written and it won’t matter if your headline is weak. Take your time when you’re working on the headline to your posts. You need to make sure you get it right. This should go without saying. Your headline is only there to get people to read your content. It shouldn’t be too long. In most cases, your headline shouldn’t be more than 65 characters long. Writing headlines isn’t easy. the more you practice, the better you’ll get. When you have a free moment, practice writing headlines. Use the tools that are available to you online. Not only will this make you better at creating new headlines, it will also help you come up with new blog post ideas! I’ve made it a point to write new headlines every single day and now I have TONS of great ideas for content! If you need more tips on writing excellent headlines, check out this article on Coschedule’s website. Blogging for your law firm SEO is the easiest way to generate leads and convert more prospects. If you do this right, you will increase your influence, establish your authority and persuade your prospects to hire you. Start putting these 5 hacks into action today to make your blog more effective. You’ll be glad you did. Of course, sometimes it isn’t easy to create consistent blog posts. Who has the time, right? But if you want to make it easier for your clients to find you, blogging is important. Artisan Owl Media can help you create consistent blog posts and boost your search engine rankings. Contact us today for your free SEO consultation. Sign up for our free newsletter for incredibly helpful sales and marketing advice!